The short of it, ‘Stop saving the way people usually tell you to save and stop living below your means.’ If you want the long of it, read on. Decide what the best way is for you to make money. Mine, hopefully, is a business mixed with real estate and stock market investing. “Do not sacrifice making a few bucks today and losing a richer tomorrow.” Keep focused on your main goal; don’t get sidetracked with other small, unimportant projects. If you become to impatient or outraged and start to make decisions based on your emotions instead of staying rational, you won’t be able to stay focused on your ultimate goal. Learn to control your emotions if you haven’t already. Choose your goal and your process to get there. The process to achieving your goal is more important than achieving your goal. Solving problems in the process of trying to achieve your goal is more important than reaching the goal. If you know how to solve the problems throughout the process, but don’t actually achieve your goal, you are still winning because you’ve learned how to win again and can set another goal. Never quit when you’re losing; you can quit when you win. If you quit when you’re losing then you won’t be able to win. Don’t let the fear of failure or of being poor take over. You want to have the problem of too much money, not the problem of being poor or being a failure so ignore the fear and embrace wanting to win. True intelligence is about the joy of learning rather than the fear of failing. Work for passive income (building assets) not for a paycheck. Set goals on how many new assets I want not on how much money I want to make. Focus more on learning rather than earning then if your assets are wiped out, you’ll know how to build them up again. People will pay you to solve their problems. FIGURE OUT WHAT PROBLEMS YOU WANT TO SOLVE FOR OTHERS. The more problems you solve the richer you will become. Deliver a better product at a better price to more people. Know how to borrow currency to acquire assets since we no longer save money. Saving money in the bank isn’t the best route for making money. Depending on your interest rate (which I’ve recommended a good option for this, here), you most likely won’t be keeping up on an average of 3% of inflation. Borrowing currency from a lender to purchase a rental home is a good example of acquiring assets without having to pay the full amount upfront. Spend money on products and services that make you richer. Take classes on investing and real estate or sign up for investment newsletters (or whatever it is you want to focus on). Classes could cost a small fee in comparison to the money you’d be able to make by applying the principles you’ll learn. Are the people you’re taking advice from actually practicing what they’re preaching? Find reliable mentors – not just those that like to talk the talk, but not walk the walk. Is your financial advisor actually investing in what he’s telling you to invest in? Recommendations from friends about real estate may not be the best advice if they aren’t invested in real estate. Plan an exit strategy. Make sure you know how you’ll be able to get out of whatever situation you’re in. Whether it’s a prenup or setting up a trust. When you’ve reached your goal, make sure you know your strategy to get out so you can move to the next goal. Keep nothing of value in your name. Buy personal liability insurance immediately. Hold assets of value in legal entities. Leverage debt to become richer. For example, rather than trying to pay off your rental property mortgage, you can use that money to buy another rental investment. You want passive income. You should look for investments that you can be paid in dividends or royalties because those items are taxed lower than an earned income (than your normal job paycheck). Figure out how to make more money – don’t figure out how to spend less. People usually tell you to save and live below your means. Change your thinking to ‘how to get the things I want.’ Know how to make your money work for you. Have a budget surplus. People don’t usually like the word ‘budget,’ but associate it with the word ‘surplus’ and people will like it. Pay tithing, savings and investing funds first. If you come up short on money for liabilities, figure out how to make more money, don’t pull back on paying God, yourself or your investing fund. “God does not need to receive, humans need to give.” God doesn’t need our money; paying tithing (or donating to a good cause) is for our benefit. We need to keep ourselves in check; getting too greedy isn’t good for the soul. 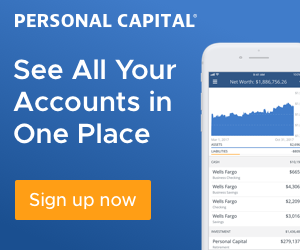 Savings – Don’t hold it in dollars at a bank. A better option, that is still high liquidity, is gold and silver ETFs. “Time and money are very important assets, spend them wisely.” Using your time efficiently will prove to be one of your most wisest decisions. If you want a luxury item, figure out how to pay for it. Get big assets. Figure out how much your luxury item really costs (include capital gains you’d have to pay for cashing out your stock, depreciation of the luxury item, etc). Be resourceful. Think outside the box. Good debt makes you richer. Bad debt makes you poorer. The key to leverage is control (for example, you can’t control the price of stock, but you can control your mortgage payment). Different types of leverage – like debt or financial intelligence. Leverage is what makes your job a little easier. Most investors invest in paper assets which they have little control over. Stocks. An increase in returns does not necessarily mean an increase in risk. Most financial advisors are not investors. Keep that in mind when you’re getting advice from someone. Financial education increases financial intelligence. *Remember, it is worthwhile to spend money on things that will increase your financial intelligence. Diversification is protection against ignorance. Focus only on great investments and hedge. Hedging is another term for insurance. You should be investing for only two reasons: capital gains (buy something then turn around and sell it for more) and cash flow (ex. investing in rentals to get income). IRR – Internal Rate of Return – looking at depreciation, amortization and appreciation. For example, if you refinance, you get more money. Follow the trends – you could look at oil or silver or housing – the least liquid an investment, the more trend investment you need. The ‘financial bird of prey’ – If you see construction cranes sitting on the top of high rise condos, sell any real estate you do not want, quickly. If those cranes are sitting there like vultures, they are just waiting for their prey. Trend to watch for – Commodity prices going down when the stock market is going up. It repeats itself every 20 years. Starting in 2020, commodities will come down and stocks will be the place to be. When a business has intrinsic value, it has integrity and can grow. Can the business make more money? Does the business have a protected niche? Does the business budget is money and resources well? Can the business be leveraged and expanded. Is it run by a team of smart, well informed people? Niche – what’s the core competence – can it make money in good times or bad. Coca Cola is a good example; people will always drink flavored water and it’s a trademarked brand, it’s protected. If you’re not a brand, you’re a commodity. Brands have more intrinsic value. A brand must be true to it’s customers and message. Expandability – how far can it be expanded? Ex. translating your product into other languages. Predictability – how steady will the revenue be? Not highs and lows, but consistently steady. Put your financial house in order. Which step do you need to work on most, start with that then move to the next. Invest in assets with intrinsic value. If it’s real estate, look for creative ways to increase the value. Batten down the hatches. Protect yourself, be smarter. Don’t live below your means. People advise you to live below your means and diversify. It’s average. Rather, specialize and live a higher standard of living. When you want something (like that Pro TRD 2015 Toyota 4Runner or expensive jewels) figure out how to increase your cash flow to be able to purchase what you want. It’s not about going into debt for unnecessary things, but figuring out how to increase your income to have the things you want. Diversification is a protection against ignorance. Those that lost big in 2007 said they were diversified, but really they were only invested in the stock market. Schools focus on 1 and 2. We are not all linguistic or logical mathematical prone and that’s why some don’t do well in the normal school system. Remember, the teacher’s perception of the student has the biggest impact on the student. We tell people what to think about us. People send back what we are broadcasting (if I think I look dorky then others will think that too). Subconscious – doesn’t think, reacts or freezes. The subconscious part of the part is most closely related to the intrapersonal intelligence – determines success or failure. Subconscious is the strongest part of the brain. Learn to choose your subconscious state of mind before acting/thinking. Do NOT let it act in fear. Learn to use all 3 parts of the brain together. What is your measurement of success? Where do you have the best chance of winning? Are your brains working together or against you? Our schools do not strengthen the subconscious. They usually tell us what we want to here, not what we should hear. They depend on fear to motivate. They threaten, rather than teach. They imitate rather than innovate. They teach us to play it safe, rather than think bigger. When the economy turns down, businesses need to spend more, advertise more, be more creative. They are usually doing the opposite. To change your life, change your environment. If you want to become rich, find the environment to do so (ex. lose weight, go the the gym); find somewhere to increase all 3 parts of the brain. Figure out if you work better in a team or individually. Your #1 job as an entrepreneur is to raise capital. Get your customers to buy more products, which makes your investors happy, get your employees to make the company at least 10 times more than what you’re paying them, if not, you’re out of business. 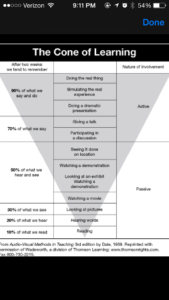 Look at the cone of learning image (shown below). The best way to learn is to do it yourself, not reading or listening (the two most popular teaching methods). Find the environment that supports the development of your genius. One learns from mistakes, not successes. **What do you think your genius is and what environment would be able to support you developing it? ** Do you have the courage to change it? Imagine your future if you did…. Be dedicated and have the drive to win! Train your left brain to understand the subject, use your right brain to come up with creative solutions and keep your subconscious excited rather than fearful. Take action, be willing to accept the mistakes you’ll make, and learn — you can create magic. You can develop your genius. Ways to develop your Financial IQ: Classes, seminars, network marketing, or get a coach. Entrepreneurs have two characteristics: ignorance and courage. Ayn Rand, author of Atlas Shrugged said, ‘Wealth is the product of man’s capacity to think.’ Think on that for a minute. Be willing to receive feedback. Your standard of living is a great feedback (if you’re driving a crappy car when you’d rather be driving that 4Runner, for example). Standard of living essentially means you are in love with and proud of your home, friends, etc., rather than envying someone else’s. 1. Have the courage to be open for feedback. 2. Offer feedback or advice only if it’s asked for. 3. Con-men will tell you what you want to hear, not what you need to hear. Basically, this book helped me to start viewing the investing/saving principles I’ve been taught differently. It’s helped me to take action where my money is concerned. I especially liked the quote, ‘we learn from our mistakes, not our successes.’ We can’t be too afraid to start because we don’t want to mess up – we have to start so we can learn from our mistakes and then become successful. Of course there’s more in the book that he goes into detail on, so if you like what you’ve read, I’d recommend reading the book yourself to see how it can help you. Or, if you’d rather learn by watching and listening, the Rich Dad Education site has lots of free webinars. I find this type of financial information helpful – you just have to remember to apply the things that will work for you. 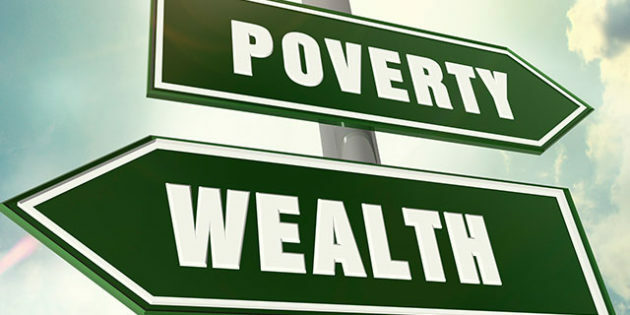 On the other hand, if you have read, What the Rich Teach Their Kids About Money-That the Poor and the Middle Class Do Not!, what part has helped you the most?